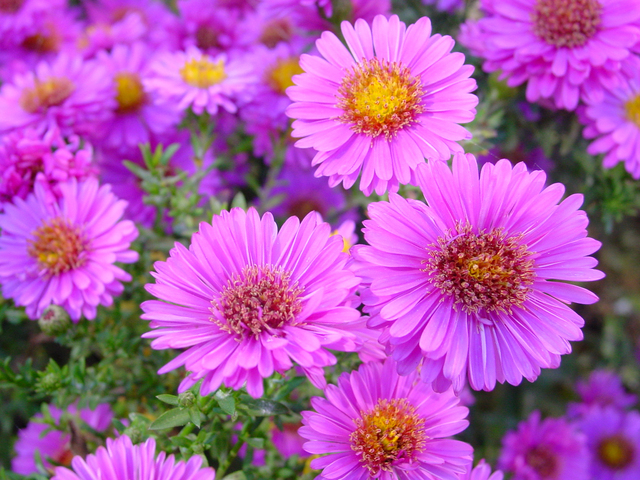 The perfect representation of fall, the aster is officially September’s birth flower. As a symbol of powerful love, it is also the 20th wedding anniversary flower. It is difficult not to fall in love with these beautiful fall blooms. 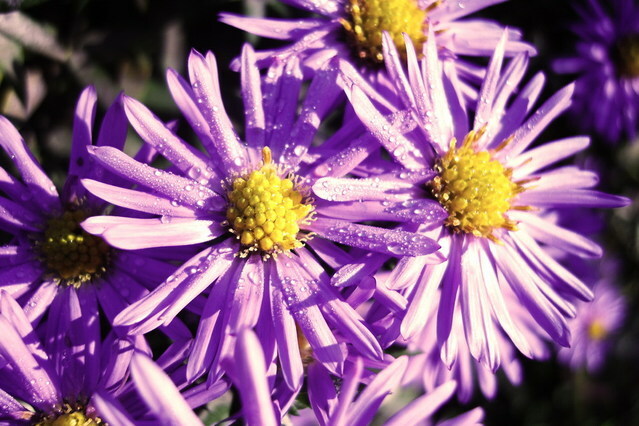 Known for its star-shaped flowers, aster is a genus of flowering plants in the Asteraceae family. Of particular note, they are related to sunflowers and their yellow centers are is made of 300 tiny florets. Also, asters come in almost all colors of the rainbow including vibrant reds and oranges, soft purple and pink and even shades of blue. This helps them fit perfectly into any birthday bouquet or flower arrangement. What Does the Name Aster Mean? The aster is an emblem of Venus, the goddess of love. But there are many legends explaining the origins of the aster flower. According to Greek mythology, the goddess Asteria (the Titan goddess of nocturnal oracles and shooting stars), who was deeply in love with stars, got upset that they appeared only in the sky and not on earth. Having realized that, she began crying and each of her tears that reached the ground turned into a star-shaped aster flower. This is how the flower was named after goddess Asteria, with “aster” meaning star. Another myth has it that asters started blooming when Virgo scattered stardust over the Earth. Other legends associated with the flower all explain their shape, which resembles the blinking and twinkling of stars. – September birth flowers are indigenous to North America but are also found in Europe, South America, and Asia. – Asters belong to the second largest family of flowers, Asteraceae. There are over 600 varieties within the Aster genusm but we are familiar with only two subspecies of these blooms (the New York and New England). – In ancient times people used to burn Asters. Because of their positive symbolism associated with patience, good fortune and female energy, people believed their smoke could ward off evil and negative energy. They have also been used medicinally to treat migraines, colds and muscle aches. – Aster is a symbol of the Hungarian Revolution (1956). It was even named “Aster revolution” because all the participants were wearing asters in their lapels during the event. – A special symbol of honor, asters are used in France to remember soldiers. Placing an aster on the grave of a fallen soldier is the way to demonstrate that he was killed in battle. What does September’s Birth Flower Mean? – Purple asters are the most popular. This color symbolizes wisdom and royalty. Bouquets featuring purple asters make a perfect 20th wedding anniversary gift. – White asters​ signify purity and innocence and are usually included in bridal and wedding bouquets. – Red asters​ stand for undying devotion and are a good (and more affordable) alternative to roses on Valentine’s Day, Mother’s Day and Women’s Day. – Pink asters represent sensitivity and love. Flower arrangements featuring these flowers are great for a number of romantic occasions. Sapphire, the birthstone for September, is a very popular gem and has been cherished for thousands of years. Well-known for its rich violet-blue hues (the word “Sapphire” means blue in Greek), this ultimate blue gemstone also comes in a rainbow of other colors including yellow, orange and even pink (one of the rarest). Since Ancient times, people have believed that September’s birthstone has protective properties. It represents nobility, loyalty, sincerity and faith. For centuries, sapphires have adorned royalty and clergymen’s robes. Now sapphires are one of the most popular engagement gems in addition to being the 5th and 45th wedding anniversary’s gemstone. Sapphire is found in many countries around the world including the US, Australia, and Thailand. The purest varieties come from Myanmar (Burma), India and Sri Lanka. A sapphire’s price depends on how pure the blue in the gem is. If you want to send an extravagant birthday gift or surprise your significant other with a beautiful engagement ring, send a sapphire ring. Its unique beauty will make it a gift to remember! Independent and meticulous, Virgos have a strong need for perfection. When picking a birthday gift for this zodiac sign, it’s important to put some extra thought into the presentation. First impressions matter, so make sure your gift wrap looks nice and neat. Being timid in nature, Virgos usually prefer pastel colors and simple designs. Leave an extravagant bouquet featuring bright colors to a charismatic Libra. There’s nothing a Virgo would appreciate more than a delicate arrangement of soft-petalled tulips, airy hydrangea or seasonal flowers including aster, this zodiac sign’s birth flower. 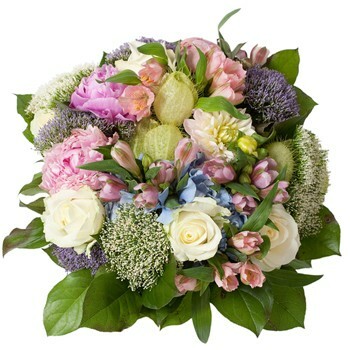 A Country Garden Bouquet is a perfect example of the best flower choices for a Virgo on their birthday. 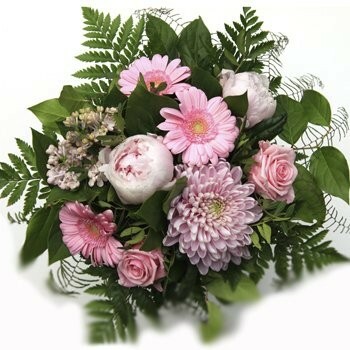 Subtle pink shades of romantic peonies, tender asters, lush roses and playful gerberas bring a garden of positive emotions to your recipient. Complement the flowers with a box of delicious gourmet chocolate and satisfy their craving for sweetness. Gentle and gracious, balanced Libra is among the most social and popular zodiac signs. The people born under the Sign Libra are naturally kind and fair. They appreciate beauty and strive for harmony and peace. To appeal to this side of Libra’s character, give them a lucky bamboo or a bonsai tree. It will not only please their eyes for years to come, but also encourage the great energy and balance they are always looking for. In addition, add a scented candle – an ultimate home accessory that will tantalize their sense of smell. Most importantly, Libras are a classy lot with refined taste. They will love something exotic and stylish like this stunning Romantic Bouquet. Featuring charming white roses, exquisite lavender alstroemerias, and a selection of seasonal flowers, the composition will bring warmth into any home, much like the charismatic zodiac sign. If you have a friend or family member celebrating their birthday in September, make sure asters are part of the flower arrangement you send for their special day. The stunning September birth flower will demonstrate your thoughtfulness and bring your dear recipient good fortune.